Trigger sound effects for radio broadcasts and more. 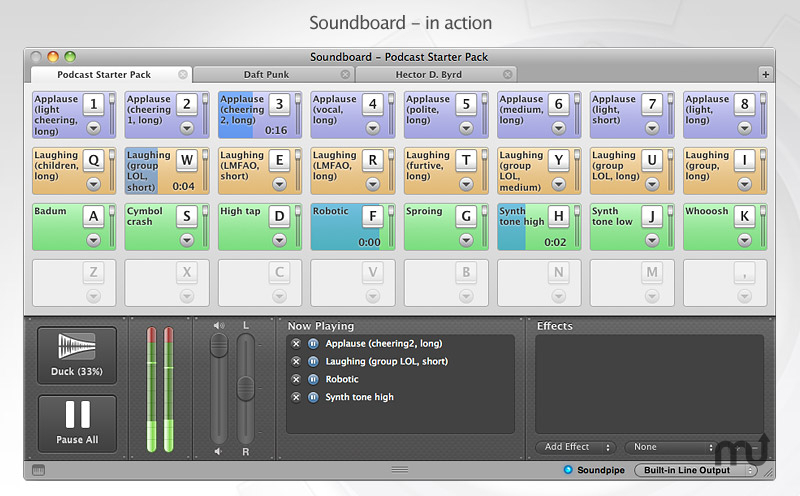 Soundboard is a Mac version of an old school cart machine like the kind used in broadcast radio. Soundboard lets you create libraries of your favorite audio clips to be triggered instantly with your Mac keyboard. Live sound effects, on tap!